The director said the film's release is actually "victory for women's rights"
Celebs have reviewed it as "funny", dark" and "necessary"
Smile please, for Lipstick Under My Burkha is finally here. Lipstick Under My Burkha might have opened to great response at several international film festivals but it's had its (un)fair share of rocky journey back home. The film was denied certification by the Pahlaj Nihalani-led Central Board Of Film Certification because of its apparent "explicit" content and for being "lady oriented." However, the film was granted 'A certificate' after the Film Certification Appellate Tribunal (FCAT) overruled Censor Board's decision to reject it. Soon after the certification, the new trailer made its way to the Internet and snubbed the Censor Board for hurling accusations at it. "They said it has 'contagious sexual scenes. They called it a 'woman's fantasy above life'," the trailer featured all of these in bold, along with accompanying scenes that would make the 'conservative' Censor Board very, very uncomfortable. Directed by Alankrita Shrivastav, Lipstick Under My Burkha has an impressive cast with Ratna Pathak Shah, Konkana Sen Sharma, Aahana Kumra and Plabita Borthakur in lead roles. Lipstick Under My Burkha tracks the story of four women with a longing for the taste of the "prohibited." Female sexuality and the society's regressive approach towards it are the dominant themes of the film. Meanwhile, a section of Bollywood stars have already watched the movie and described it with words like "funny", dark" and "necessary." Talking to news agency AFP, the director said the film's release is actually "victory for women's rights." She added: "It's not just about my film and our cast and crew. If it had not released (then) that would have set a precedent that it's okay to gag 50 percent of the population." 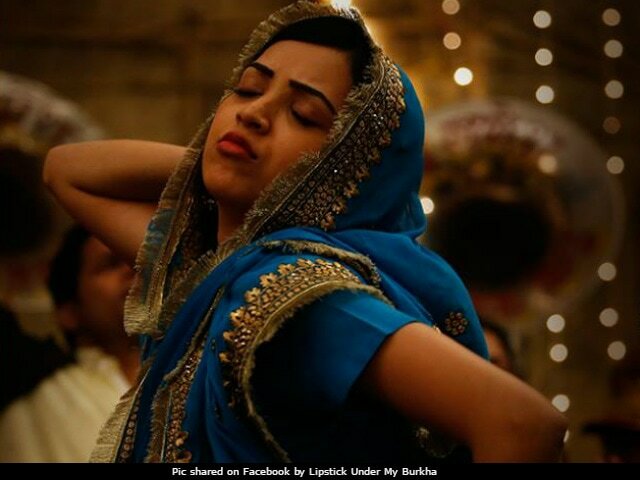 Produced by Prakash Jha, Lipstick Under My Burkha hits screens tomorrow.